In 10 years 40% of the global workforce will be gig workers generating $2 trillion yearly via their hard earned reputation. But can individuals use their reputation, eg as an Airbnb guest to help secure a tenancy agreement? 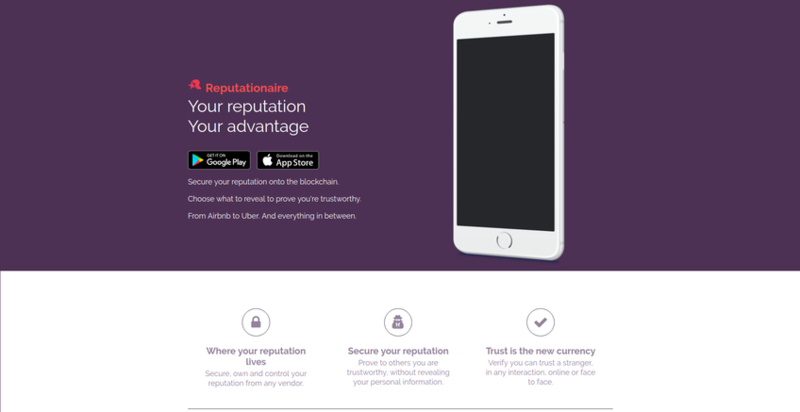 Reputationaire empowers users to securely import, store then exchange their verified reputation data from ANY service. Individuals remain anonymous yet trusted, in full control of which aspects of their reputation they reveal and to who without prejudice.